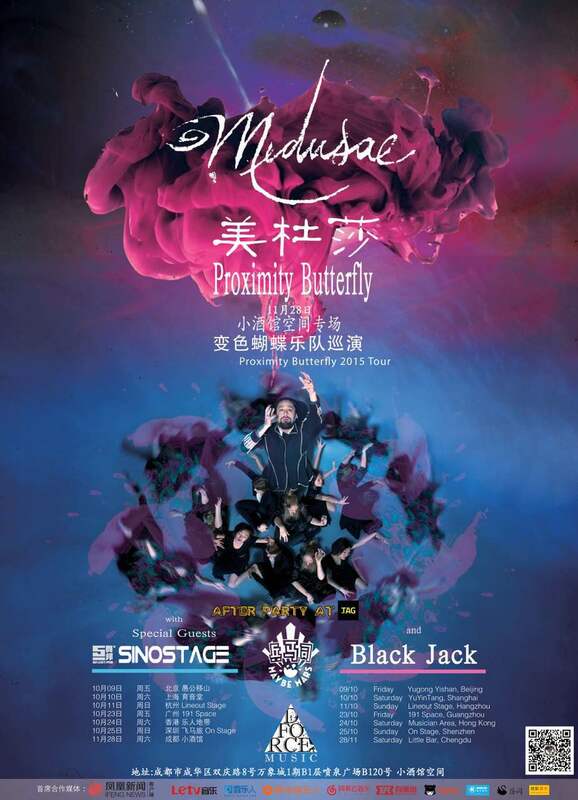 Proximity Butterfly will finalize The Medusae Tour this November 28th in a dazzling collaboration with some of Chengdu’s finest groups and venues. After having spent the past few weeks touring around the country, the Butterflies are on their home turf and ready to put on a grandiose display. Their latest album, Medusae, has been modified to fit this occasion with a galvanic reinforcement of sounds generating the mystical and celestial fields that make their sound so distinctly their own. “It is everything that is on the album and more. Much more.” Previously described as a “stream of consciousness brought out by the convergence of light and sound”, Proximity Butterfly has gone the lengths to introduce dance and film into their performance in a way that Chengdu has never seen before. The visual landscape of this 1 hr and 30minute performance will be ornamented with the choreography of Chengdu’s very own Sinostage, the leading urban dance studio in Chengdu. Adding to the colorful imagery the Lead singer Joshua C. Love has compiled in the past 4 months, the 28th will be as theatrical as it will be vividly stunning. 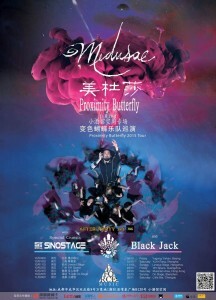 Bringing Sinostage together with Proximity Butterfly has been a long sought ordeal. Generally understood as a psychedelic rock band, one would not think that urban dance and guitars could go toe-to-toe. On the contrary, the delicate infusion of electronic bass beats and ethereally wide synthesized orchestration brings forth a very different butterfly than we have seen before. The scenes take on a deeply introspective vantage point giving the dancers the full range of their abilities to express what both groups sincerely pursue: Storytelling. Sinostage has brought forth the shine of dance into the mainstream of Chengdu Culture, not only through their sensational performances, but also by providing a community in which people of all ages and interest can join together and indulge in a lifestyle of health and movement. 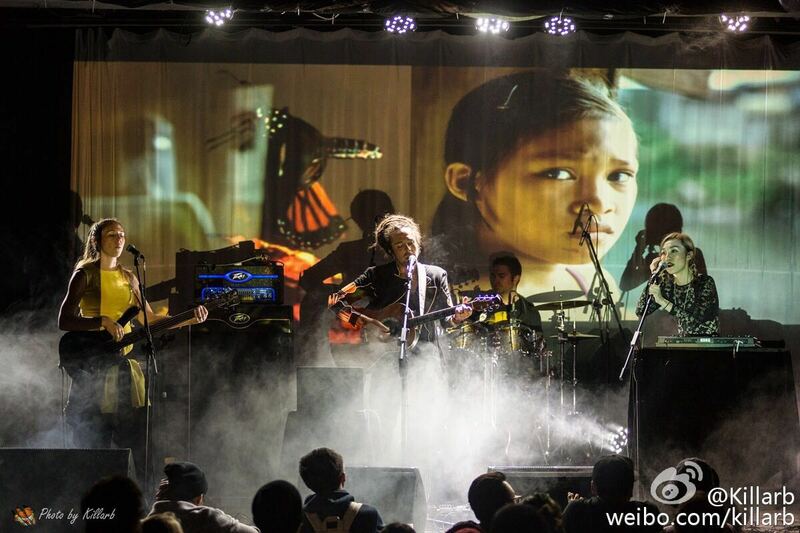 Opening the evening will be Chengdu's hottest Venezuelan band, The Black Jacks of Plymooouth, making their original music debut. Medusae is a record about Women, whose everlasting forbearance and compromise of self-worth are the main inspiration of the album’s creation. Tied tightly together with Joshua’s relationship to his mother, the album illuminates the burden and responsibility that women of future generations will embrace. There have been historical moments in which the evolution of the ‘woman’ has been celebrated, but outside of academics and holidays very little attention has been drawn towards her perseverance and overwhelming endurance to overcome the struggles of modern-day society. 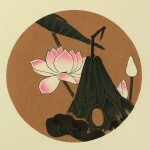 Moreover, it is a philosophical treatise encompassing change and the ‘process of struggle’ through which one is faced with great self-contradiction, accepting purification and eventually reaching towards the path of a nirvana-like state. After the release of the album, Joshua, songwriter of the band, filmed and edited an abstract movie from a great deal of varying visual materials, both familiar and unfamiliar. This movie is the footnote and decoding imagery of the album’s main theme. 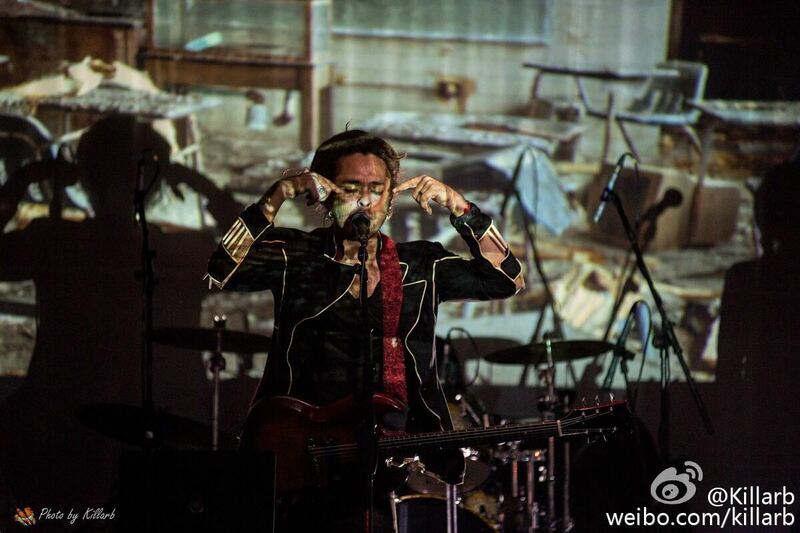 Despite being known for their colorful and explosive stage-presence, the upcoming Medusae Tour places the visualization of this particular experimental movie as the focus rather than the band members themselves. The band will then act as an orchestra in the faint foreground of the film. Material will be performed from the recent Medusa album as well as their most recently composed works and a few surprises. All of these elements will make up the whole conceptual live show. 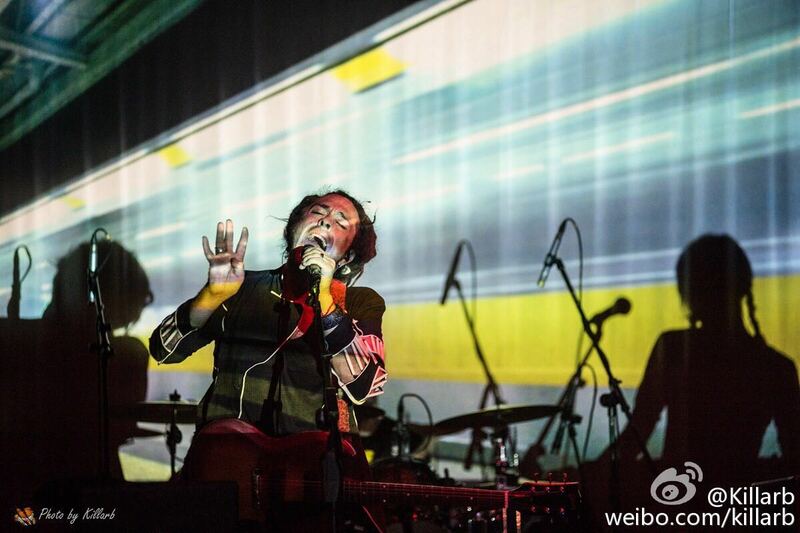 After the show at the Little Bar Live Space everyone is invited to go to TAG, Chengdu’s number one party spot at Polycenter near the American Consulate, for the Proximity Butterfly Medusae After Party. Entrance is **FREE**!!! 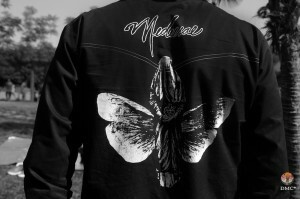 The new “Medusae” shirts are also ready, hand-made by DMC in Beijing. 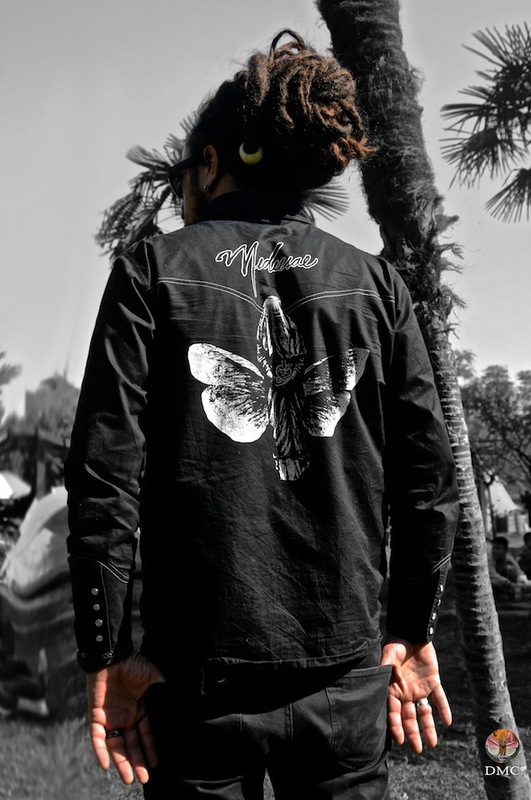 In a recent collaboration, Xiao Dao and the Butterflies designed a wearable, smart, cowboy-style shirt ranging from Black to… well, Black. No need for another color. Good cowboys wear black. 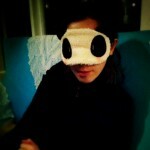 With the artwork from the album, by Sara Kala Ruiperez (California), they are both beautiful, comfortable, and again, hand-made. Proximity Butterfly’s music is a complex blend of psychedelic music, folk, funk, soul, hip-hop and alternative rock. Their live performance is always associated with magnificent power and grotesque sound effects. The band’s lyrics combine obscure narration with deep philosophic meanings. The Medusae Tour will become one of the very few chances to explore the full embodiment of their music. The Reach for Me *Remix* was recorded in Chengdu at the Butterfly Studio in the past year and mixed and mastered by Joshua C. Love. Unlike most remixes, this song is essentially re-recorded from beginning to end with a more electronic drum track while including the newest members of the band (Lukas and Fei Fei). As many of Proximity Butterfly albums take you on an epic journey, Reach for Me is the first of three journeys on the album. With no subject matter too taboo, the band has a long history of writing about the Crusades, Salahoudin, mental health, and psychological conflict. This time the coincidental harmony between the animation and the song is uncanny. A song about the need to reach out to others contrasts the very isolated “every-man-for-himself” attitude that life makes us believe is real. That internal conflict of wanting to be good and having to choose yourself over others is a choice we all one day come to realize. And the more we choose for ourselves, the more isolated we become from everyone else. We grow older and more isolated. We begin believing that isolation is something that simply comes with age rather than directing our lives towards giving back to the community that developed our sense of self. Our habits of self-preservation stain society with a separated and competitive distance between each other. This gets taught to our children and we continue the cycle over and over again. Yet society brings forth courageous and extraordinary individuals that drive against these habits making the fantasy of our past a reality in the now. The song begins by asking questions about metaphysical and abstract emotions like fear and shame, it turns into more of a mantra or meditation than a blasting rock song. The second verse expresses the parallel or dual nature of what we are and how we decide for ourselves. “It’s just the angel’s way to say…” takes us into the spirit of life, turning questions into statements about how we seek out ways to hold on to what we have and how we cherish it. The things that we grab on to are the things that define us. To reach is an active expression of coming out of myself for the sake of both of us, you and me. What we wish society to be rests only in our active abilities to reach out to others in society. By mid-song the temper changes into an epic panorama of beautiful chord progressions resounding the prayer “We are children of the same sun”, which is a cry out to people saying, “hey, I may be different, but we, at the source of all of our Love, are the same.” It ends with a climactic plea to “reach out for me,” while it rests upon that line between the introvert and the extrovert, preparing to make that leap into the unknown. The animation is called “Caldera”, directed and written by Evan Viera and released in March of 2012. 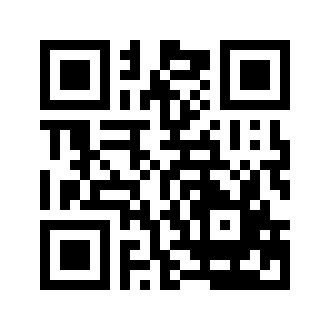 It details the story of a girl that is struggling with mental health. She decides to stop taking her medication and is faced with a growing sense of anxiety and overwhelming detachment from a dark cold disinterested world. As she gets closer to herself, she realizes the fury of “reality” begins to chase her down and threaten her whole identity. Both the music and the video blend very well together in ideology and share a visual temper that promotes hope and courage while leaving the potentiality of the future on the edge of experience. We often evaluate our emotions and experiences in relation to others. We almost seek approval from the world around us rather than firmly establish ourselves as a valid experience. 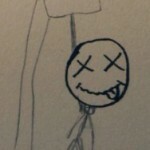 Psychological illnesses are difficult to battle and at some point in time we are all a bit psychopathic. We are willing to extend ourselves so far into our own experience that it tests the limits of the “reality” we live within. In judging perceptions and states of reality, we might ask, “Which is more real? Whose reality is the correct one?” That, however, is no longer the question. Much like harmony between scientific theories, that our multifarious realities coexist becomes the greater interest of our time. We embrace to deeply the idea of evolution that we falsely assume that we are all changing into something better. We forget that the hatred and bigotry of our past still exists and is still being dealt with on global scales. The media and technology that has become the mainstream of consciousness provides us with the healing of the partitions between self and non-self. I am, existentially, both the result of my environment as well as the activator, the actuality of my existence. The music and video work together to call out to our native sense of love and expresses to the world that the love you have for those close to you is that same love that you can have for everyone around you near or far. We have the opportunity to shape a new world, and money is not the only way to build new things. We can, through intention and purpose, bring about fantastic new beginnings for the next generations, seeking the manifestation of a new world and its magnificence. We, in our inexhaustible efforts, will inevitably overcome. Proximity Butterfly was established in Chengdu, China, in 2003 by Joshua C. Love (USA), Chenduxi (China), NiuQingYang (China) and Heather Judson (Canada). 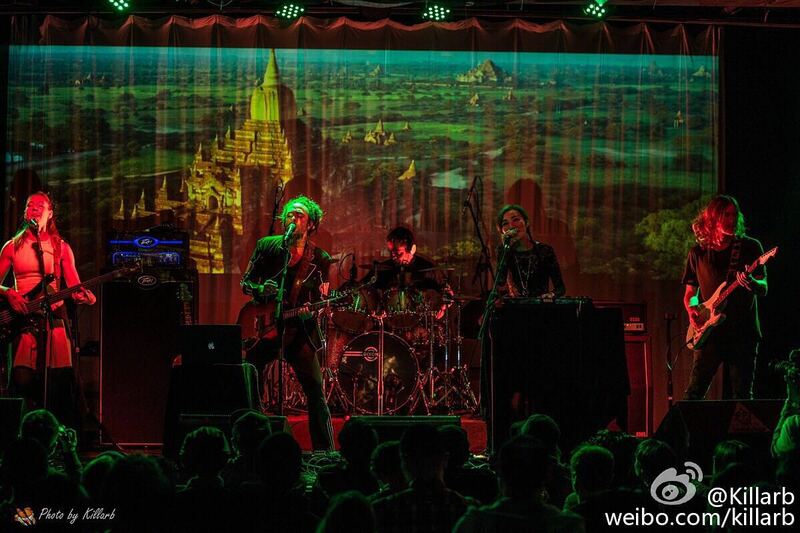 Formed within a highly eclectic music scene, PB quickly became the spearhead of the Chengdu music scene, capturing audiences with their highly effected vocal landscapes, eerily contorting delays, cryptic lyrics and their diverse fusion of folk, funk, soul, hip-hop, alternative rock and psychedelia. Proximity Butterfly‘s experimental, philosophically-charged collage of sounds and concepts have always reached out in an unusually deep manner with songs like “Kill the Popstar”, “Tiptoes of Shiva” and “Dance of the Hanged Men of Salahoudin”. Lyrically encrypting tales of lost power and the world’s unknowns, the focus on this anthropological/psychological history has made this band unique, raw and full of genuine expression. 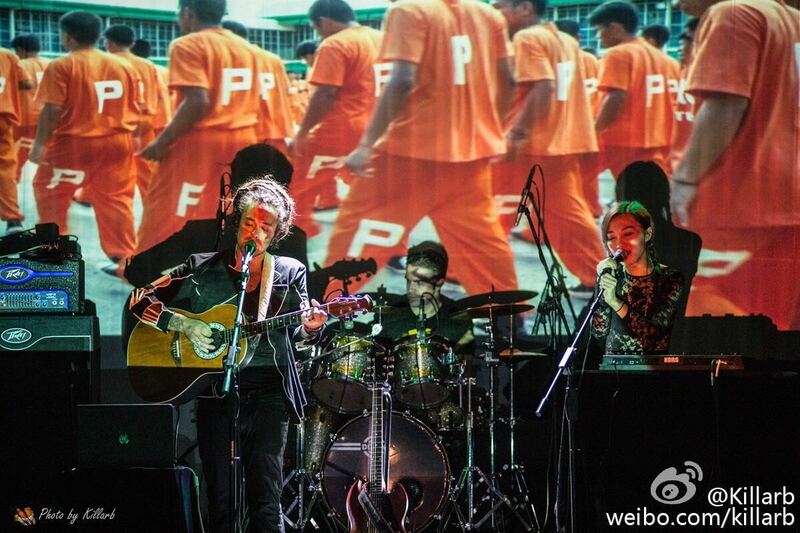 Upon the release of Reprieve (2011) and national tours of China and Australia the band began an industrious effort to compose three albums, the first of which will be released in 2015 (Medusae). Produced and recorded by Joshua C. Love and Manny Nieto (The Mars Volta, The Breeders) in Chengdu, Medusae is set to be their largest digital release yet, with a focus on capsules of artwork.